We are located in the Retiro district, close to the Plaza San Martin and to the financial and commercial center of Buenos Aires. Within the school, there is also an art studio, a space to view movies and short films from Argentina and South America, helping to showcase the use of the language in an authentic cultural context. Our classrooms are spacious, bright and have air conditioning/heating. The teachers at CASA Spanish School are friendly and qualified. They provide each of the students with personal attention, which helps to differentiate them from the rest when it comes to guiding students through the learning process. By utilizing games and the best teaching methods available, they are able to make each student feel welcome whether in individual instruction or in a dynamic group setting. Buenos Aires is home to one of the most important book fairs, audiovisual art fairs, film festivals. Only here you can find over 450 independent theaters, one of the best opera houses in the world and a countless number of locations that contribute to it's legendary nightlife. There is truly something here for everyone including: tango, soccer, great cuisine, free open-air concerts and markets, art galleries and museums.Though you can marvel at all of the historic architecture, don't let it mislead you. This city has a modern vision that is constantly nourished by the diversity of those who pass through it. Buenos Aires is a cosmopolitan city that has it all and is embodied by charming inhabitants who always play good hosts and are ready to give advice on how to make it in a city that has secrets in its streets and in its neighborhoods. Una certificación DELE es la mejor manera de demostrar el conocimiento de la lengua española. El examen DELE es el resultado de un esfuerzo de colaboración entre el Instituto Cervantes, la Universidad de Salamanca y el Ministerio de Educación español. Tomar el examen DELE es esencial para estudiar y buscar trabajo como profesor de español o en cualquier sector privado directamente relacionada con los mercados españoles o latinoamericanos. Sin embargo, el español es no sólo importante en estos lugares. Los solicitantes de empleo que dominen el español también tienen gran demanda en los Estados Unidos, particularmente en la región suroeste del país. Actualmente, los hispanos representan casi el 15 por ciento de la población estadounidense, lo que significa que más de 40 millones de estadounidenses hablan español en casa, por lo que la fluidez en el lenguaje es una habilidad vital para los solicitantes de empleo. La preparación del examen DELE mientras se vive en un país de habla española como la Argentina, ofrece la mejor oportunidad posible no sólo para mejorar sus conocimientos del idioma, sino también para sacar el máximo provecho de los aspectos culturales que forman parte de cualquier idioma. - ayudan a los estudiantes a mejorar su español rápidamente. - contribuirá en gran medida a una buena performance de los estudiantes en el examen. - proporcionan a los estudiantes oportunidades de usar el lenguaje con fines comunicativos reales fuera del aula con hablantes nativos. I studied here for 3 weeks and loved it. The classes are well organised and my teacher Federico was really helpful at explaining the structure of the language. The school organised social nights and this meant I could go out to weird and wonderful places in BA with my class mates. 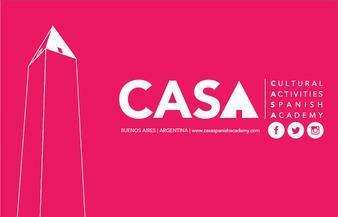 If you study in Buenos Aires go to CASA Spanish! I spent eight weeks at Casa Spanish taking an intensive course Monday to Friday and I loved it! It is the best language school I can think of. The people are the nicest you can find and they are willing to help you with anything that might come up during your stay in Buenos Aires. 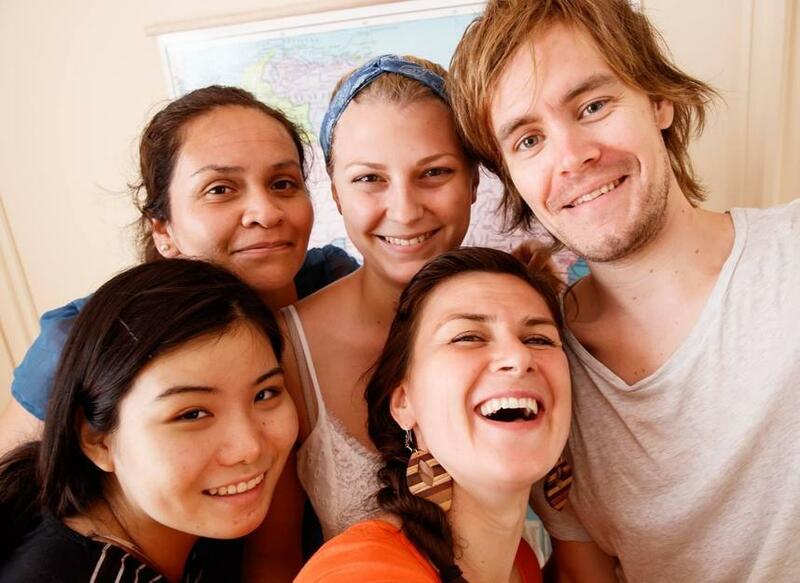 Casa Spanish is like a small family that you will be more than happy to spend your time with .The service Casa Spanish provides reaches far beyond a regular language school! Xavier, the director, invites students to asados, tango evenings and other social events regularly. And the best part, is it one of the cheapest in town! The best choice in Buenos Aires! Ich haben einen achtwöchigen Intensivkurs bei Casa Spanish gemacht und es war mega! Casa Spanish ist die beste Sprachschule, die ich mir nur vorstellen kann. Die Leute sind extrem nett und hilfsbereit, mit egal welchem Problem. Casa Spanish ist wie eine kleine Familie und deren Services gehen weit über das normale Angebot einer Sprachschule hinaus. Xavier, der Leiter, läd regelmässig zum Grillen, Tangoabenden oder sonstigen Social Events ein. Hinzu kommt, dass Casa Spanish eine der günstigsten Sprachschulen in ganz Buenos Aires ist. Beste Wahl! Gracias por tus palabras. Nos ayuda a seguir creciendo y ofrecer siempre la mejor experiencia en el aprendizaje de un idioma. Esperamos verte pronto nuevamente, saludos! Un amigo recomendo la escuela de español. En Belgica aprendí espanol por 3 anios por trabajo. Estuve 6 semanas en Casa spanish y Karen ha mejorado mucho mi espanol. Soy mas fluente y puedo conversar con mis amigos argentinos de manera mas segura. Además Xavier es muy divertido y ayudó mucho a encontrar los mejores lugares para trekking en San Carlos de Bariloche y Patagonia. I studied here for 3 months with the aim of taking my DELE B2 certificate. I took private classes with Cecilia who was excellent at explaining complex concepts and pinning down my strengths and weaknesses. I took my exam last Friday, and although it was tough I am quite confident, and I really owe it to CASA Spanish Academy. I also have to say I loved the hands on approach of the owner Xavier. He was there everyday and always check if I was happy with the classes and the materials. I studied at CASA Spanish Academy for 2 months and loved it. I did a mixture of group and private classes and it really improved my written and spoken spanish. The classes are small and this meant that the teachers were able to focus on my skills and weaknesses. The owner also always asked me how I was getting on and showed and interest in my progress.